1. Preheat oven to 375 degrees. Line muffin tins with cupcake wrappers. 2. Whisk together flour, salt and baking soda. 3. Cream butter and sugar until fluffy, then add egg and beat until well combined. 4. Stir in dry ingredients, then apple butter. 5. Fill muffin cups 3/4 full and bake for 20 minutes, or until cake tester comes out clean. Cool before frosting. 1. Mix cream cheese and butter until smooth and uniform. 2. Add cinnamon and vanilla. 3. Add powdered sugar until desired consistency is reached. Pumpkins are very popular in October. 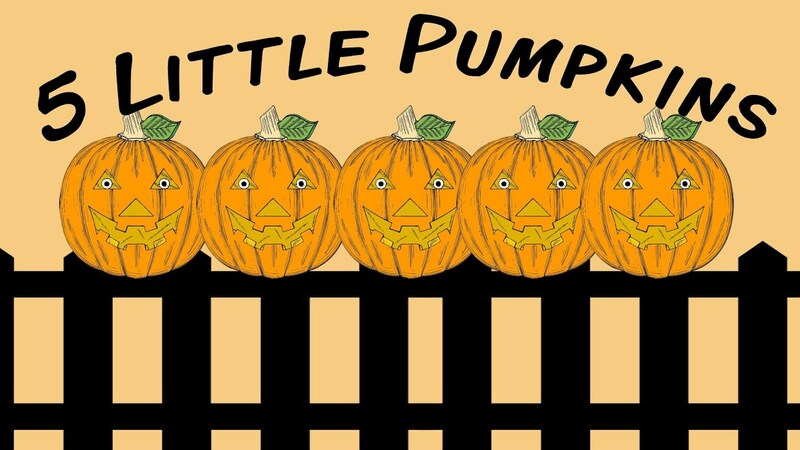 With jack-o-Lanterns and all the great pumpkin recipes one part of the pumpkin may be looked over. Pumpkin seeds make a nice little treat that many will enjoy. Not only can you use the seeds as a snack but also to make your child a necklace or belt. Pumpkin seeds are full of zinc and are great to help build up the immune system. Semi home-made cooking is my way of doing things lots of time. . This way it can easily be an after school treat or an on the go treat. This cookie treat takes all ready packaged cookies, hershey kisses, orange gel icing and orange colored sugar. Put them together to make creepy witch hats. National Roast Pheasant Day may not be something familiar to you. Many pheasants have been farm raised. Europe and America have enjoyed pheasants for centuries. The popular game bird has a pinkish delicate and mild in flavor taste with a bit more texture than chicken. Pheasants normally weigh around 2 1/2 lbs. One pheasant will normally easily feed 2 people. Their bones are tiny and there is more meat to a bone than chicken. The thigh meat of a pheasant is darker, stronger flavored and more firm as well. The pheasant breast is also leaner than the chickens. You may want to join in on the national roast pheasant day. If so here is a great recipe to try. Five jolly pumpkins, growing on a vine. Five Jack-o-lanterns looking at YOU! You’d better be careful, ‘cause they might say BOO! Now on cardstock re-create this cute poem. Print out and staple to a baggie of candy corn. There you are for all to see and laugh. Smores is something my children all agree with. They agree they love them and would love to have some more as well. Smores have always been present at bonfires and camp outs. Now I want to share with you that you can also make in microwave. This makes it possible to make smores year round. These smores bars are another way to share the delicious taste of smores. 1. Preheat oven to 350 degrees. Grease 9×13″ pan. 2. Cream butter and sugar until fluffy. Add eggs and vanilla. 3. 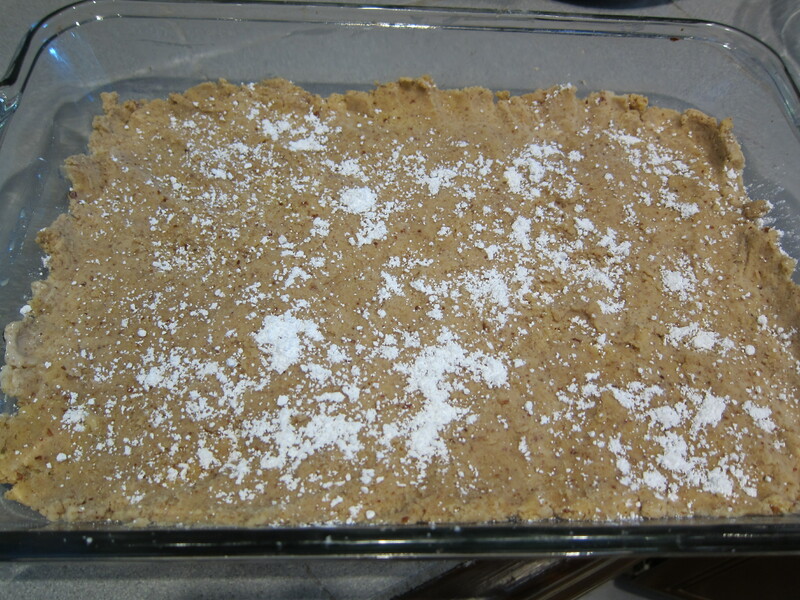 In a separate bowl, combine graham crackers, flour, salt, baking powder. Add to butter/sugar mixture, beat well. 4. Spread half of dough mixture into greased pan. 5. Sprinkle chocolate chips over the dough. 6. Using a spatula, spread marshmallow creme over the chocolate chip. 7. Top with remaining dough mixture. This can be a bit tricky (or sticky!). Try flattening the dough between two pieces of waxed paper before laying over the top of the marshmallow creme. Don’t worry if it doesn’t look perfect, or you have a few gaps. 8. Bake for 30 minutes. Allow to cool completely before cutting into bars. Or don’t, but in that case, you might need a spoon. The name of this dessert is "Pumpkin Dream Cake" Wow!!! 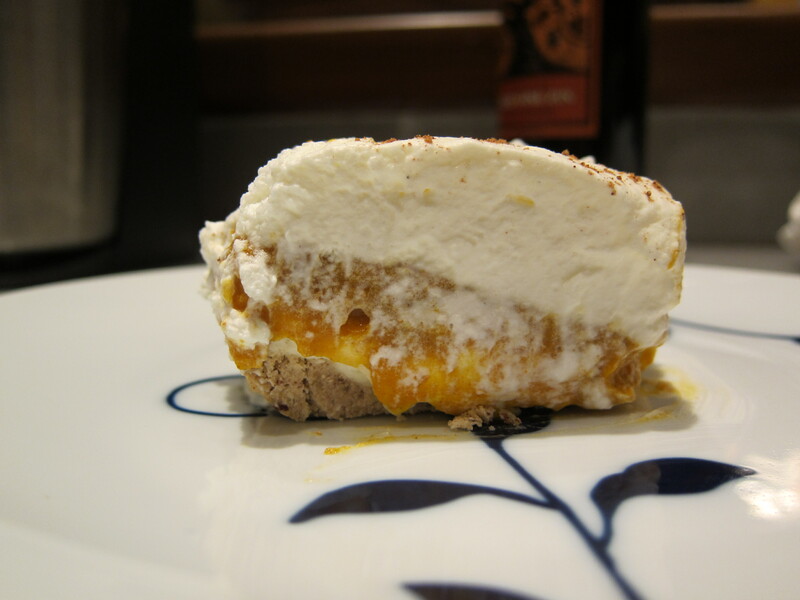 October is all about pumpkin and now I have found a super yummy recipe to share as well. 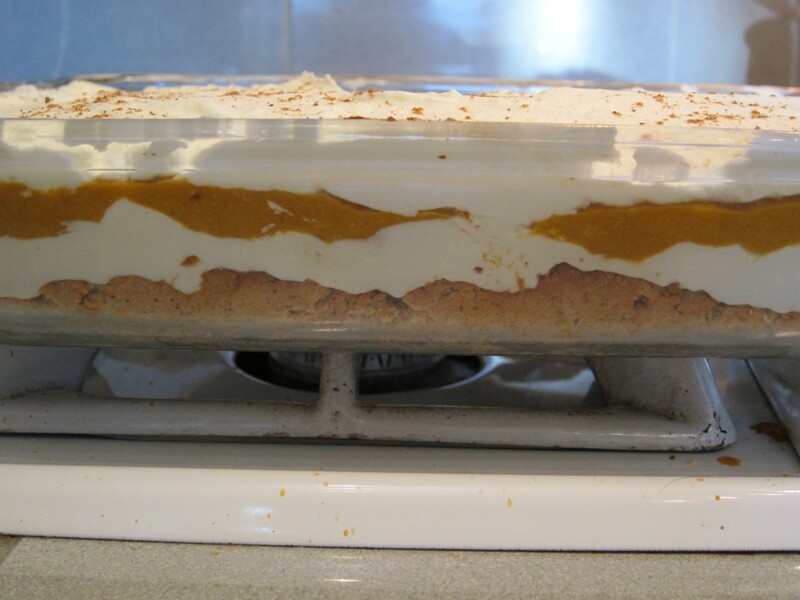 For those of you who prefer not to use cool whip, pumpkin pudding mix and flour that is ok because this version uses real cream, canned pumpkin and coconut flour / pecan crust. The crust recipe come s from Paleospirit.com. Beat cream cheese and 1.5 cups whipped cream until smooth. Add some powdered sugar if it’s not sweet enough for your taste. Spread cream cheese mixture on top of the crust. 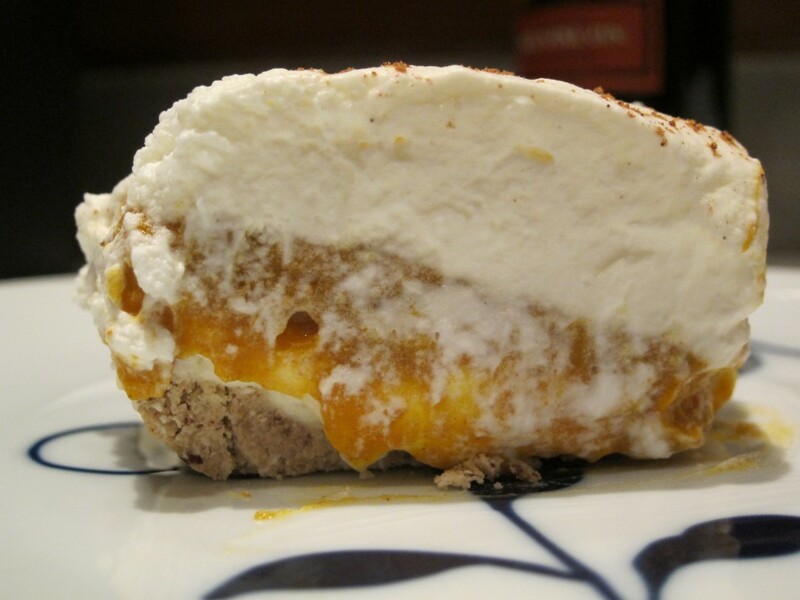 Make sure the crust is totally cool or the heat will melt the whipped cream. For the final layer, just top the cake with the rest of the whipped cream until smooth and top with a sprinkling of nutmeg for looks. So its the big night. The night to head out and have some fun and maybe be scared a bit or make some one else say Boo. Before heading out get your game plan on. Fix a quick meal before heading out to get the treats. This will help kids from gorging on Halloween candy. If allergies haunt your children you will want to know what it is they are eat any. Parents of children with allergies have more than likely learned to be prepared. Take your cell phone along, any emergency medications that may be needed including epinephrine. Keeping wet wipes on hand will allow you to keep your child's hands clean. If your child is an asthmatic take along the inhaler in case of dust, leaves or other allergy is present. 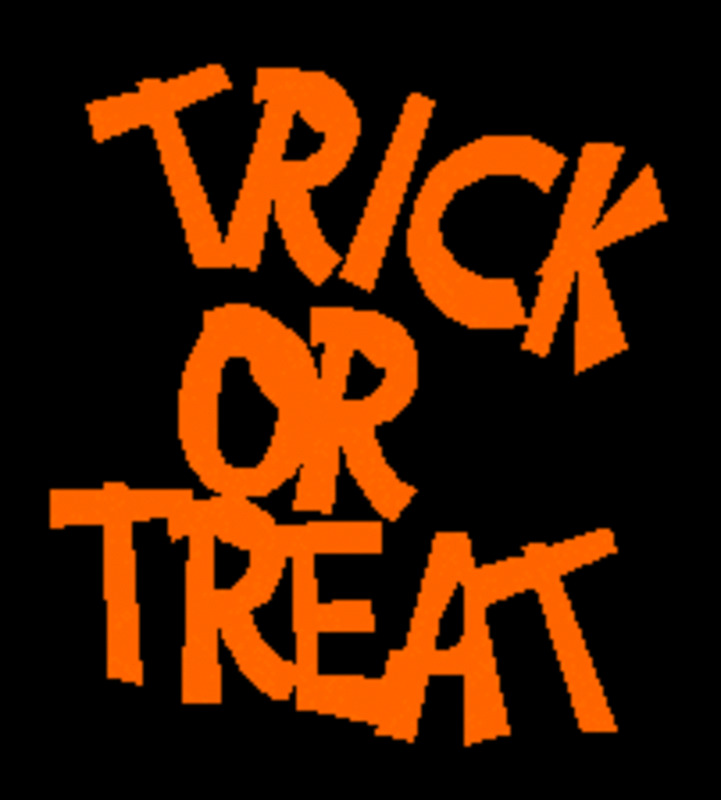 One idea is to plan your route and talk to your neighbors asking them to give your children safe candy. You may even want to provide your neighbors with treats to give your children. 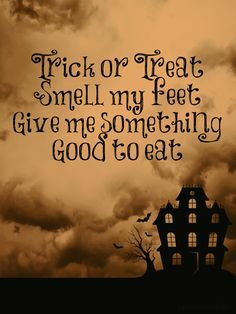 Offer your child non-food items in exchange for their trick or treat loot. Items such as coloring books, storybooks, pencils, sticker's, stuffed animals, toys, cash and play dough will often tempt children into trading in their trick or treat goodies. For children who have allergy reactions by touch perhaps including a pair of scary gloves with your child's costume would work. For children with eczema or other skin allergies make sure to use only hypoallergenic make up or stay clear of make up. Store bought costumes often include latex in the material as well as synthetic dyes armed with this information choose a costume for your child that will work well. Pets are another hazard that you must be aware of. Children with allergies or asthma need to be aware of where they go. Never enter any home with smokers if that is a trigger for your child's asthma. Most importantly be safe and have fun. Preheat the oven to 450F and bake the pie crust for 5 minutes. Remove from oven. Beat together the eggs and milk, then add the extracts and sugar. Beat 1 to 2 minutes, until well combined. Stir together the coconut and chopped almonds, and spread in the pie crust. Pour the egg mixture over the coconut mixture, and sprinkle the top with slivered almonds. Place in the oven, reduce the heat to 350F, and bake for 45 to 55 minutes, until the custard is set. 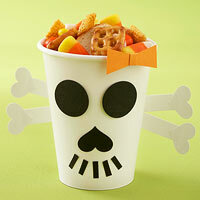 Make It Combine Chex Party Mix with candy corn and M&Ms. Preheat oven to 375° F Combine pears and lemon juice in a 2-quart baking dish; toss gently to coat. 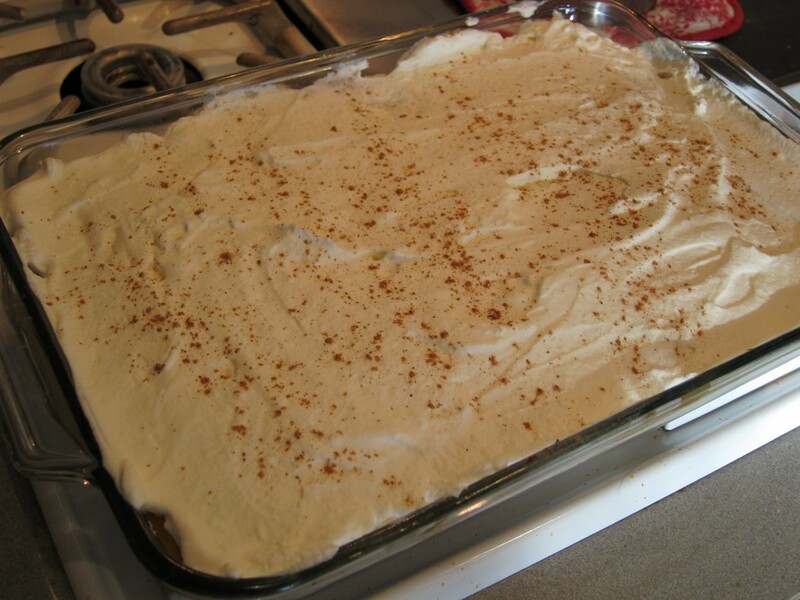 Combine granulated sugar, cornstarch, and 1 teaspoon cinnamon; stir with a whisk. Add cornstarch mixture to pear mixture; toss well to coat. Lightly spoon flour into a dry measuring cup; level with a knife. Place flour, 1/2 teaspoon cinnamon, brown sugar, and salt in a food processor; pulse 2 times or until combined. Add chilled butter; pulse 6 times or until mixture resembles coarse meal. Add oats and walnuts; pulse 2 times. Sprinkle flour mixture evenly over pear mixture. Bake at 375°F for 40 minutes or until pears are tender and topping is golden brown. Cool 20 minutes on a wire rack: serve warm or at room temperature. Preheat oven to 400° F. Peel potatoes and slice into 1/3-inch thick French fry style strips. Place them in cold, salted water so they don’t turn color while you work. Now drain potatoes and pat dry with paper towels. Spread 1 tablespoon of oil on each of two rimmed baking sheets and spread out the potatoes. Overlapping is fine. Sprinkle the dried herbs evenly over the potatoes. Liberally spread cheese and parsley on top. Drizzle the remaining oil over the cheese. Scatter bits of butter around the pans. Bake until the potatoes are golden brown, rotating the pans after 30 minutes, for a total baking time of 45-50 minutes. Baking time depends on the size of your cut potatoes. Sprinkle with salt and pepper and serve hot. Cook pasta as directed on package meanwhile, heat 1/2 cup dressing in large skillet on medium heat. Stir in mushrooms, onions, red and green pepper, and cook 3 min or until onions are crisp-tender, stirring occasionally. Add shrimp and parsley then stir. Cook 2 min or until shrimp are pink and vegetables are tender, stirring occasionally. Now drain the pasta; return to pot. Add shrimp mixture and remaining dressing; toss lightly. Sprinkle with cheese. You can serve this with a crisp salad and a slice of Italian bread. 2.While the eggs are sitting, make the soy sauce broth. Mix water, soy sauce, sugar, orange peel, cinnamon stick, chinese 5 spice, and star anise in a pot that will be large enough for the dozen eggs. Bring mixture to a gentle boil. 3. When eggs are done, pour out the water and refill the pot with cold water. 4. 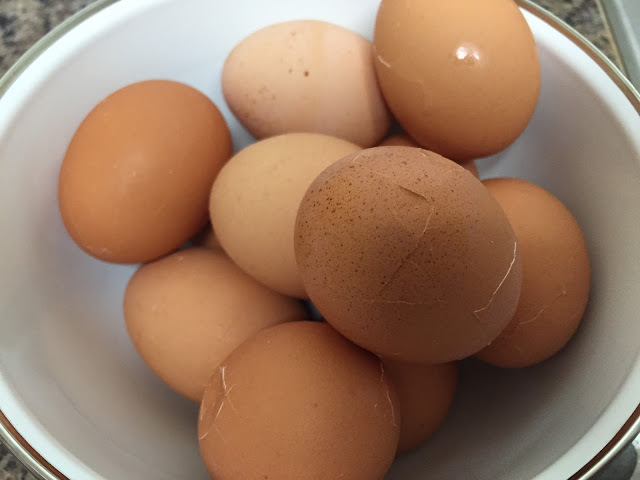 Gently tap each egg with a spoon to make cracks. 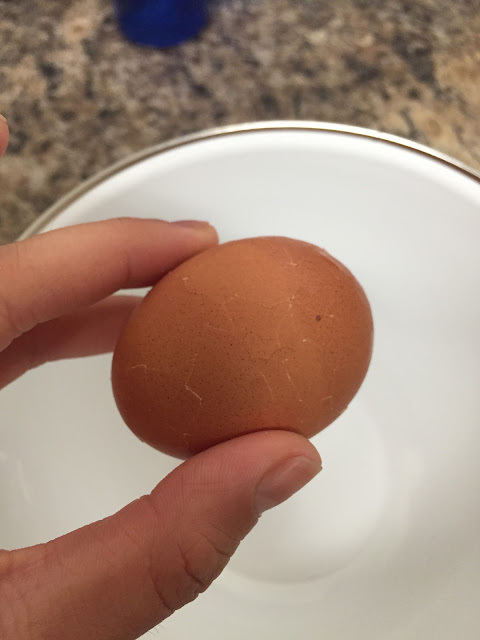 Deep cracks create dark, dramatic lines so be gentle so you don't break into the egg but cracking the shell through the membrane is good. 5. Place cracked eggs into the broth and turn the heat on low. Allow it to simmer for 10 minutes. 6. Turn off the heat and let the eggs sit in the broth for 5-8 hours. At this point, you can refrigerate the broth and eggs all together. Just make sure to let the eggs soak in the broth for a long time. 7. 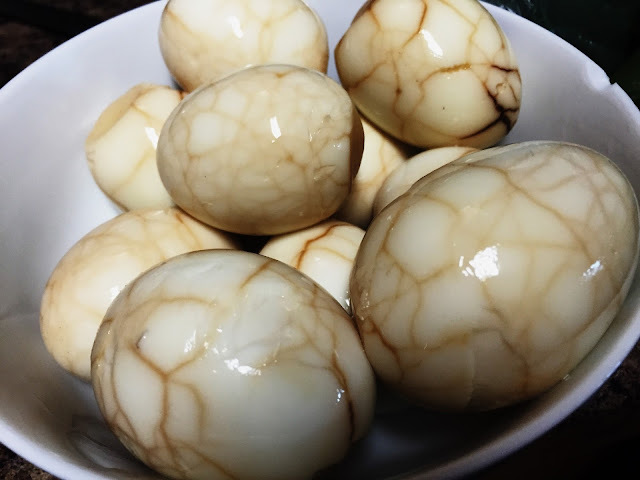 After an extended period, peel the eggs and enjoy! None of us ever want to be involved in a medical emergency. When and if one ever occurs it would be best if we were prepared. By having a plan of action, a prepared emergency kit and knowledge you will be ready for a medical emergency. 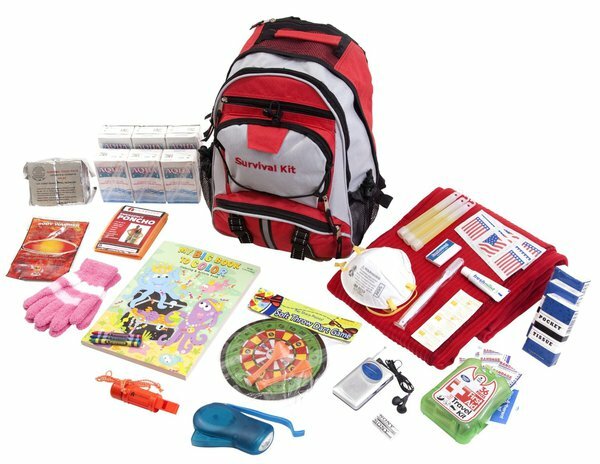 It is important to keep well stocked emergency kit at home, in your car and in your office. This will help you provide instant care when and if an emergency occurs. Having medical information file with families medical condition and history and other important information is a great idea. It is important to keep in a place where it is handy so that it can be easily accessed. 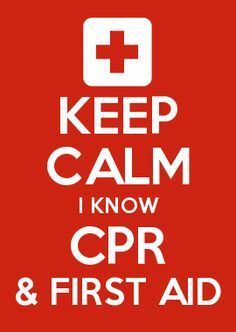 Attending a first aid and CPR class is essential. The proper steps to take in an emergency is taught by these classes. I have had both classes and yes have had to use all my knowledge at different times at our own home with my family. Keep a list of emergency phone numbers near the phone. Now days you can keep them programmed into your cell phone. The most important step is to not panic. Panic will cause you not to think straight or use the knowledge you learned. Keeping calm will help you to deal with the emergency. Cook the pasta, drain the water and set aside in the pan. Pour the passata into the pan, drain your tin of tuna and then add that into the pan with the passata and the pasta. Add whichever herbs you like - I added basil, rosemary and a bit of thyme. Give it a good mix and then pour into a baking dish. Throw in a few cherry tomatoes - I have some homegrown ones in varying levels of ripeness so grabbed a few of these and dotted them about. 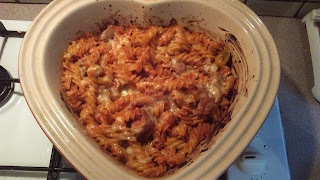 Sprinkle over the cheese (grate more if you don't get enough coverage). Bake in the oven for around 20 mins, or until you smell the cheese starting to burn. Serve with green beans and salad. Chop the vegetables then tip the cauliflower, onion and potato into a hot pan of melted butter. Let it sizzle then turn the heat down, pop the lid on and sweat for about ten mins, making sure you stir it a couple of times. When that's done pour in your chicken stock, bring to boil, and pour in your milk. Bring to the boil yet again then reduce heat and simmer for 12-15 mins. Next step is to blend, blend, blend till it's smooth! Lastly season to taste, add in the crème fraiche and heat back through ready for serving with some crusty delicious bread. Who does not like snickerdoodle?? It is even super fun to say. These chewy cinnamon sugar bars are delicious. Easy to make and that's good as they don't last long leaving the questions when you making them again. 1. Preheat oven to 350 degrees. Grease or line a 9×13″ pan. 2. Combine the flour, baking powder, cinnamon, nutmeg and salt in a medium bowl. Set aside. 3. In a large mixing bowl, cream together brown sugar and butter, beating for 3-5 minutes. Add the eggs, one at a time, then vanilla, beat until smooth. 4. Stir in the flour mixture until well blended. 5. Use a lightly greased spatula (or your fingers) to spread the mixture evenly into the prepared pan. 6. Combine the granulated sugar, cinnamon and nutmeg in a small bowl. Sprinkle evenly over the top of the batter. 7. Bake for 25-30 minutes, or until until the surface springs back when gently pressed. Cool before cutting into bars. I grew up in the kitchen ready to bake. These muffins are sweet but not too sweet. Great as breakfast or afternoon snack. If you choose add a light glaze or powdered sugar. Use craisins rather than cranberries if you choose. Nuts and white chocolate chips could also be added. Make these muffins yours and enjoy. 2. Combine flour, baking soda, pumpkin pie spice and salt in a medium bowl. Set aside. 3. 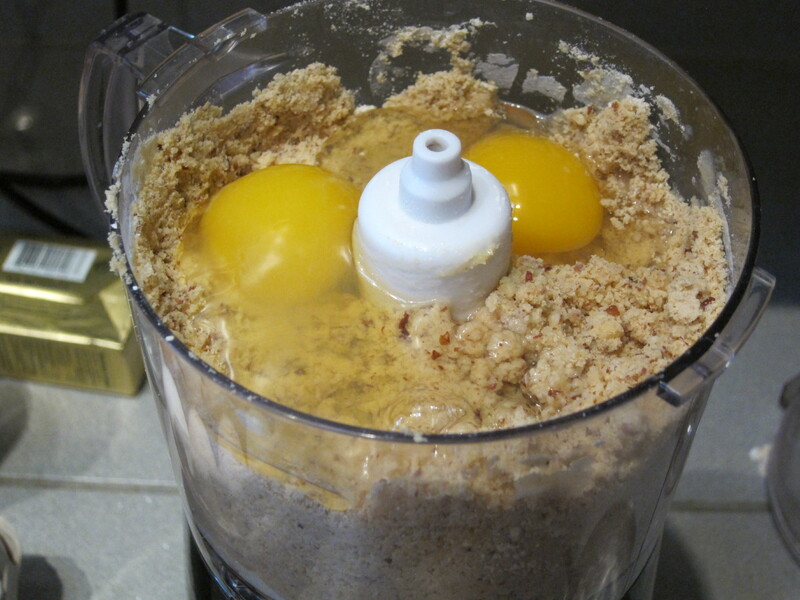 Beat together the eggs and sugar until well blended. 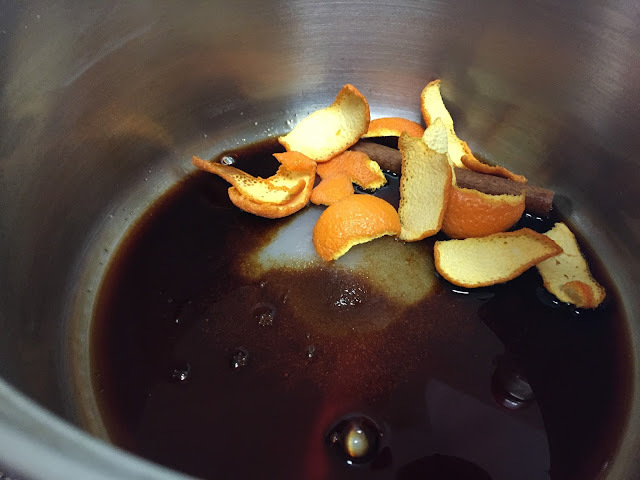 Add pumpkin and oil, mix well. 4. Stir in the flour mixture until just moistened. Fold in the cranberries. 5. Line muffin tins with foil or paper baking cups and fill 3/4 full. 6. Bake for 20-22 minutes or until a toothpick/cake tester comes out clean. I simply love my crock-pot. It helps me make up so many wonderful goodies. Crockpot butter is one of those recipes I love to make. Apple Butter is a traditional fall recipe here in our home. Living just a few miles from several apple orchards it is only right to enjoy all that we can. Apple butter taste great on toast, biscuits, pancakes or simply eat by spoonfuls. While preparing your apple butter in the crockpot your home will receive a yummy fall like smell. No need for potpourri when you have an aroma for that. You can use apples of your choice in this recipe. While Jonathon golden apples, gala, honeycrisp, granny smith or a combo of these work best. This recipe was used in a 2.5 quart cooker you can change the recipe as needed if using smaller or larger cooker. 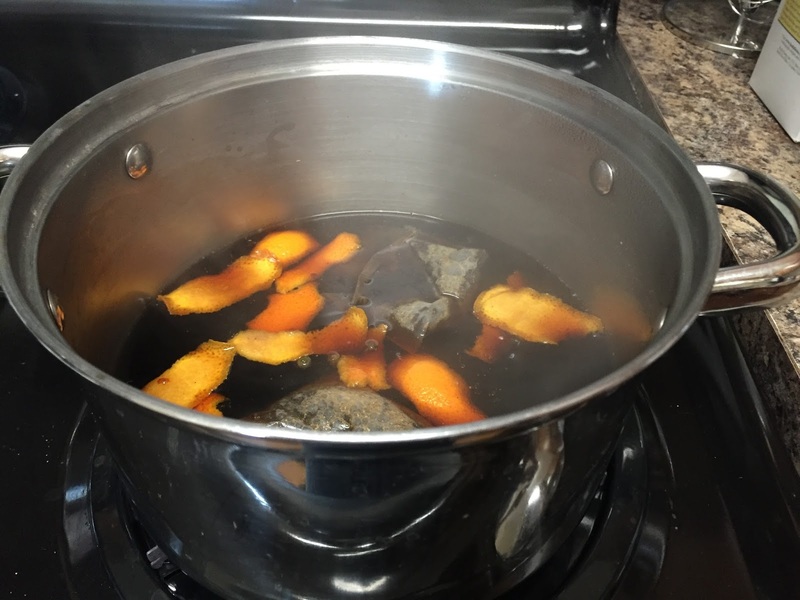 If you are planning on saving and storing apple butter or give as a gift be sure to put cans in boiling water bath. Find a tutorial here. 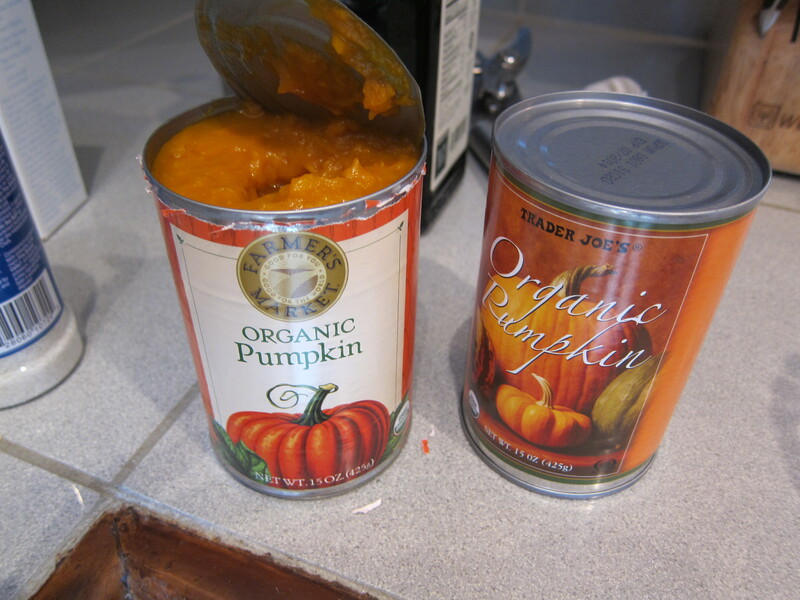 Without canning, keep refrigerated and use within a month or two.